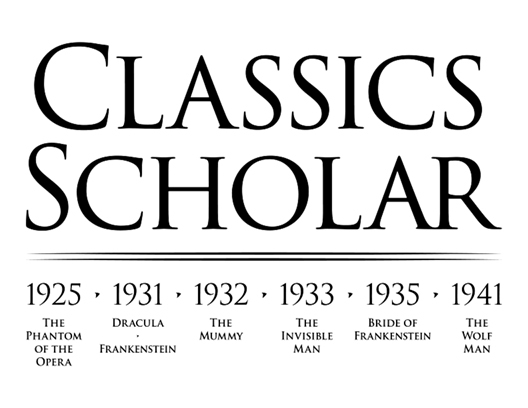 Classics Scholar Rises From the Dead! And, yes, I ditched the Phantom. LMK if you want him back. Available in a few dark colors. 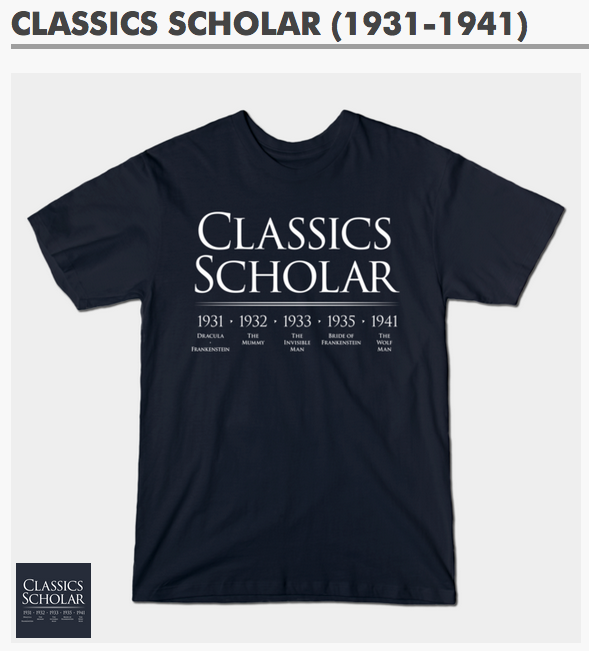 Author Staff WriterPosted on October 2, 2015 Categories Design, Physical ObjectTags Advertisement, Dracula, Frankenstein, Horror, Shirt, TeePublic, The Mummy, Wolf ManLeave a comment on Classics Scholar Rises From the Dead! Now for the Good News: Classic Monster Movies Stuff! This art is available in blue on white, and in white on dark colors. Mugs & shirts only. Just in time for Halloween, though I cannot promise delivery by then. Author Staff WriterPosted on October 1, 2015 Categories Design, Physical ObjectTags Advertisement, Classic Monsters, Dracula, Frankenstein, Horror, Mug, Shirt, The Invisible Man, The Mummy, The Phantom of the Opera, ZazzleLeave a comment on Now for the Good News: Classic Monster Movies Stuff!